For some reason, something about the message resonated with me, even as a young teenager who had lived in a stable home, in a single location for many years. Since then, of course, I have moved house frequently and lived in many towns and cities in a number of different countries. There have been times I have used more than one address. Indeed, there have been times when I’ve been officially resident in more than one country. For the last two weeks, I’ve been back in Spain on a trip that has included a short visit to Madrid. Usually I am only in the city for a few hours, en route to or from the airport, or for meetings that keep me to a very specific schedule. This time, though, I had a chance to revisit a few places I used to know well. 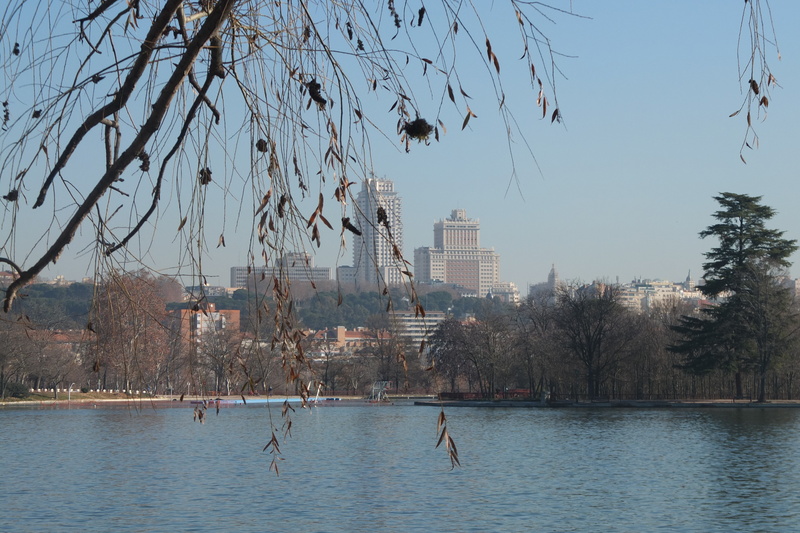 As I took the photo of Madrid from the shores of the lago on Casa de Campo, I remembered Snoopy quoting Thomas Wolfe.